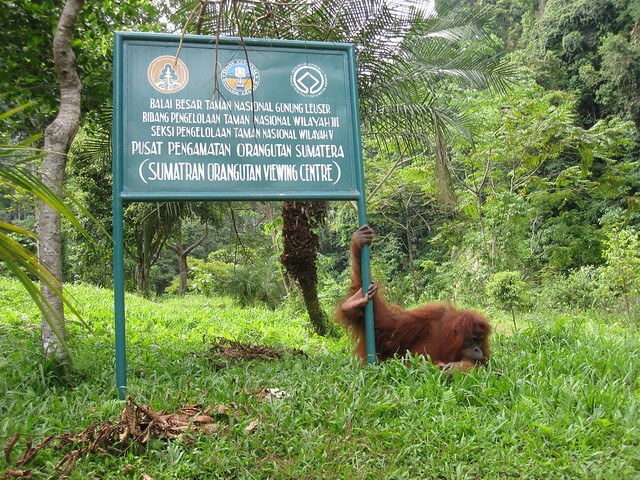 This website provides information on Bukit Lawang, North Sumatra, Indonesia. We also operate jungle treks, transport, tours, and other activities in Bukit Lawang, North Sumatra, Indonesia. Bukit Lawang is a popular tourist destination located on the edge of the Gunung Leuser National Park, a UNESCO World Heritage Site home to numerous bird, plant and mammal species, most famously the Sumatran orangutan (Pongo abelii), which can be seen in the jungle in Bukit Lawang as well as at the daily feedings. Apart from visits to the jungle, Bukit Lawang offers a relaxed atmosphere alongside the banks of the Bohorok river, with many guests staying for weeks or months on end. We offer transportation from Medan airport, city, and other local destinations, accommodation and treks and tours. Please see our trekking page for more information and/or to make a booking.